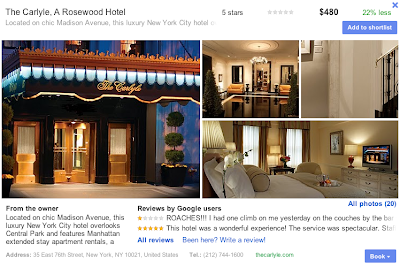 Lots of people are talking about Google’s new hotel finder, one thing I thought was really clever was this. Because hotel prices are not the same from one city to the next, it is difficult to know if you are getting a good deal or not. Most of us begin the hotel bookings process with a bit of research. 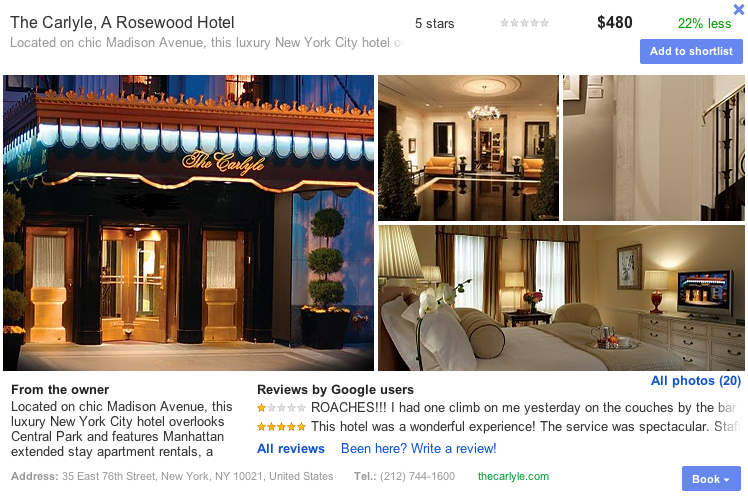 We compare a number of hotels to establish the typical price, which we use as a bench mark to compare others to. Hopefully we will see this used a lot more across the internet, real-estate might be a good place to start.